The former attorney general is challenging the Republican governor’s antidemocratic refusal to call special elections. Wisconsin Governor Scott Walker’s refusal to hold special elections to fill vacant state-legislative seats will be challenged in the courts by former US attorney general Eric Holder and the National Democratic Redistricting Committee (NDRC). Marc Elias, one of the nation’s most prominent legal experts on elections, is a member of the foundation’s legal team. 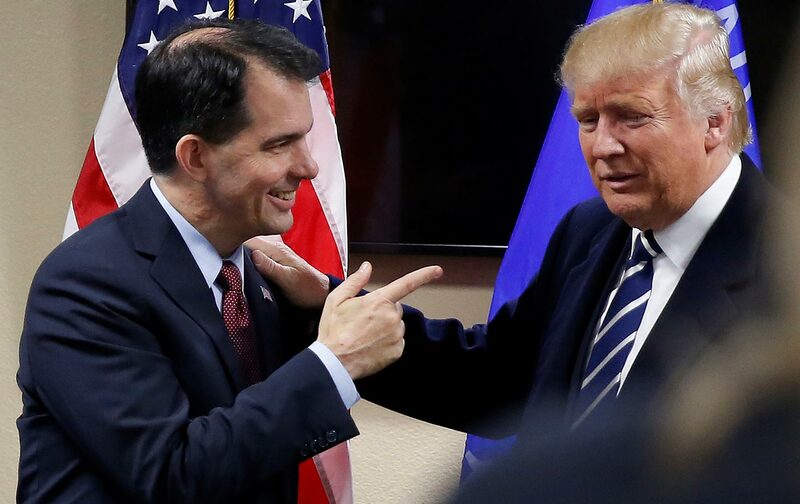 Scott Walker is one of a number of Republican governors who this year have refused to call special elections for legislative seats Republicans might lose. Walker, who was stung in January of this year by a special-election result that saw a historically Republican State Senate seat won by a Democrat, appointed Republican State Senator Frank Lasee and Republican State Representative Keith Ripp to posts in his administration last December. Since then, he has stubbornly refused to call special elections to fill the seats—arguing that voters should not be given a say until the regularly scheduled election in November. Wisconsin statutes say that vacant legislative seats “shall be filled as promptly as possible by special election.” While Walker’s aides and allies had tried to claim he had leeway because of statute language regarding the close of the regular floor period of the legislature and special sessions, those arguments crumbled as the legislature has continued to meet and act on major welfare-reform and criminal-justice-reform issues. The governor’s antidemocratic stance, which has been criticized as an attempt by Walker to prevent Republican special-election losses that might embarrass his party and undermine his own 2018 reelection run, threatens to leave almost 230,000 Wisconsinites unrepresented for the better part of a year. It was the subject of an investigation by The Nation into the refusal of Republican governors to call special elections for legislative seats in the swing states of Wisconsin, Michigan, and Florida, and for a US house seat in Michigan, that was published in the current issue of the magazine. Now, however, Walker has another reason to be running scared. His attempt to play politics with representative democracy could well be upset by the courts.